If you’re hoping for interview success then follow my top tips! It’s worth noting that the franchise industry seems to be flourishing from within, with 29% of franchisees in the UK now running multiple units and a third of franchised outlets in the sector employing ten or more employees. Most employers, regardless of their business model, want to ensure they make the right recruitment decision through a meticulous interview process. Having spent years bringing on board franchisees to be part of our team and before that in the business world at large, I’ve learnt a thing or two about how to present yourself and interview successfully. 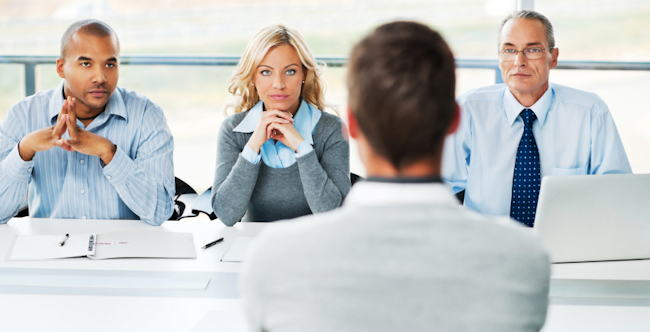 When you think about going for an interview, remember that first impressions do count. They say that seven seconds is all it takes for an interviewer to make their mind about someone, so make the most of that seven seconds! Stand up straight and greet your interviewer with a smile and a firm handshake. As the Girl Guides say, ‘be prepared’. Before the internet, it was difficult to get information about a company before you went for an interview, but now there’s no excuse. Do your research into the company, find out what their business ethos and mission statement are. Don’t just read the home page, go into detail and check out their social media accounts to make sure you’re fully informed. Make sure you’ve read the job description in detail, so you’re not caught on the wrong foot when they ask you why you want the job. Think about the questions your interviewer is asking and take the time to consider them before starting to answer. Waffling because you haven’t taken the time to compose an answer to the question means you’ll come across as unprepared and you’ll run the risk of getting off track and not answering the question at all. If you’re not fully present in the room, it comes across in your body language. Slouching, fidgeting, not maintaining eye contact and playing with your hair or face, shows that you are distracted. Instead, sit up straight, maintain eye contact and smile to show that you’re paying attention and are interested in what the interviewer is saying. No-one wants to work with someone who’s not positive or enthusiastic. You should aim to be a radiator, not a drain, and demonstrate that in the interview. Your would-be employers – or franchisor in this case – wants someone who’s going to add to, and be a good fit with, their existing team. By demonstrating that you’re enthusiastic, you can develop rapport with the interviewer and show that you’ll be a positive addition to the company. Quite often, the interviewer will ask questions about particular challenges you’ve faced in your previous job or things that you are particularly proud of. Before you go, have a think about the things you accomplished in your previous role or how you overcame difficult situations. It’s easy to forget these things when you’re nervous in a job interview, so ensure you’ve given it some thought before you get there. Don’t forget that while you’re there to impress them, you also need to make sure that they’re the right fit for you. There’s no point in starting a job (or taking on a franchise) to find out a few weeks down the line that it isn’t what you thought it was, or that your values don’t align with theirs. Go in with detailed questions about the company and don’t be afraid to ask them. Employers (and franchisors) want someone who is engaged and interested, and by going armed with your own questions you’re showing that you’re serious. Of course, there are differences between going for a job interview and attending a franchisor meeting. With an interview, they are going to be paying you for your time, and with a franchise, you’re paying them for the brand, products and processes. Make the interview a success by being prepared, being interested and above all, by being committed. If your heart is set on that job – or that franchise – my top tips will lead to interview success.